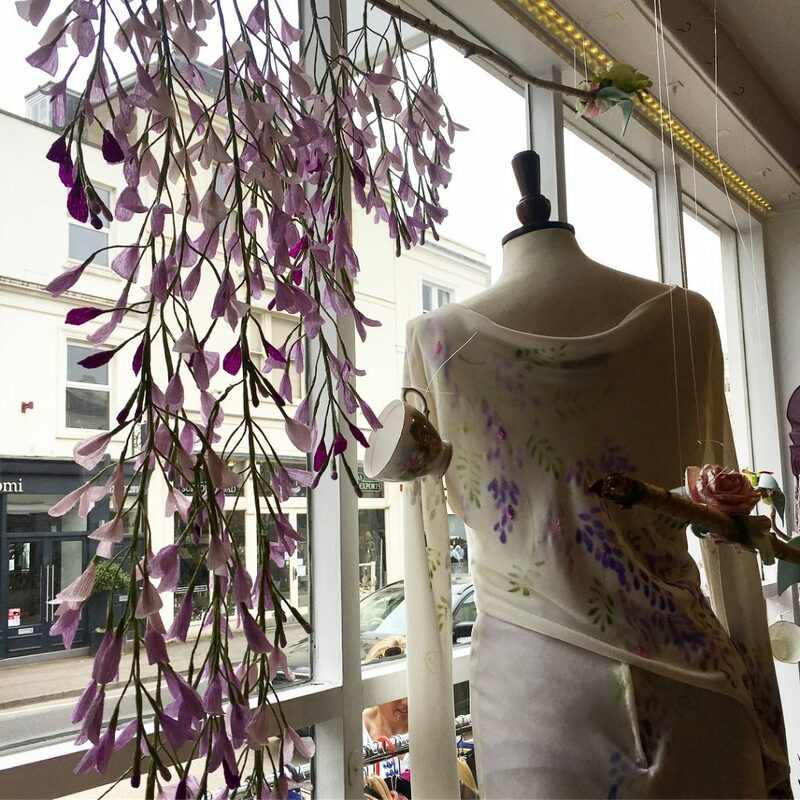 I was honoured to be asked by Jan Knibbs of Atelier 19 in Cheltenham to design and create some paper wisteria for her new summer window display. I of course jumped at the chance. 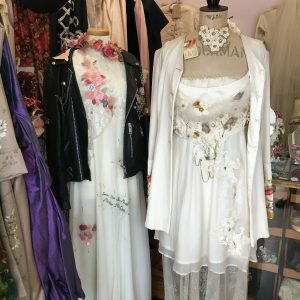 Jan’s shop is absolutely stunning, an Aladdin’s cave of beautiful bespoke embroidered wedding dresses and accessories. 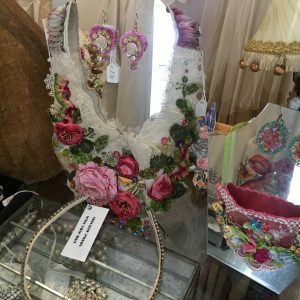 As well as a lovely collection of vintage finds, Jan also stocks a collection of bespoke pieces made by local designers. 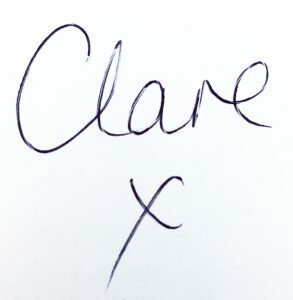 It is a one stop shop for completing your wedding day look for all your special guests and of course the Bride herself. 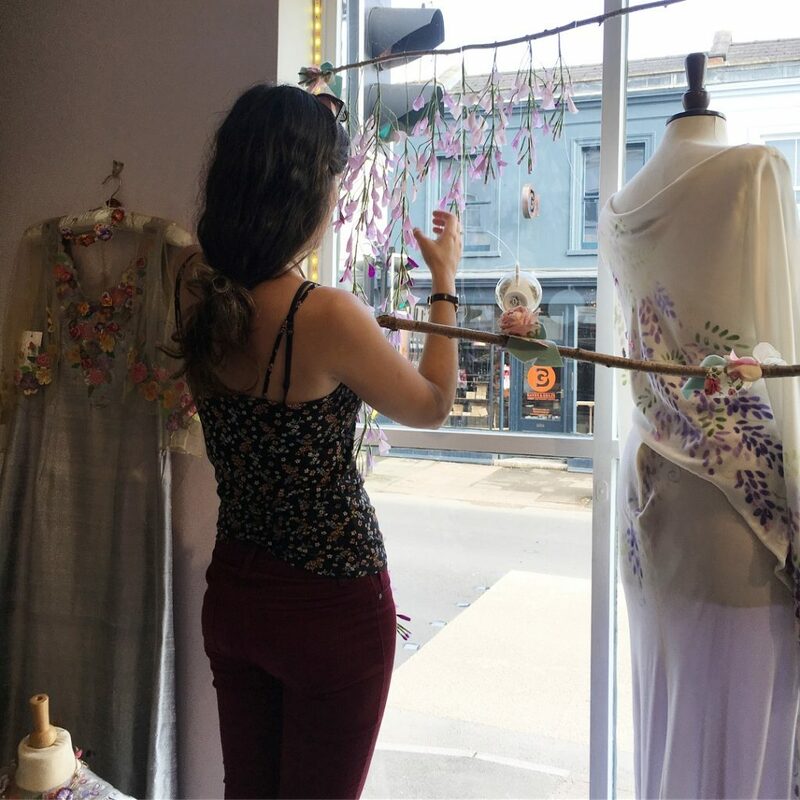 She also runs and provides workshops from the shop too, click here for more information and to sign up for one today. 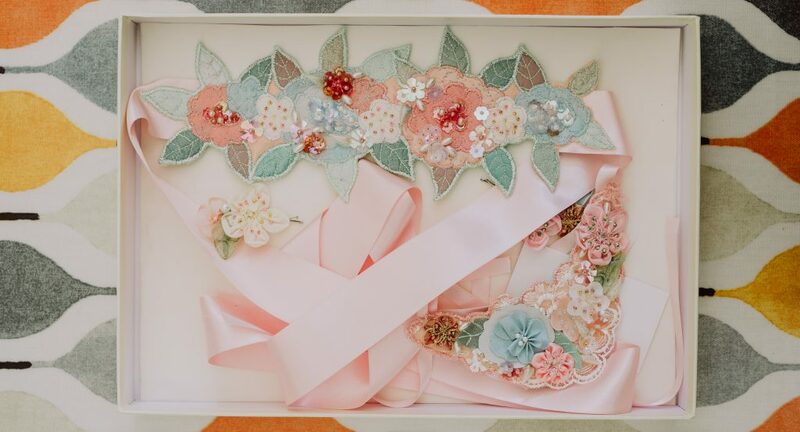 Jan created beautiful bespoke embroidered accessories for my own wedding back in August 2016, working with our colour themes to add a unique touch to the bridesmaids and flower girls attire. 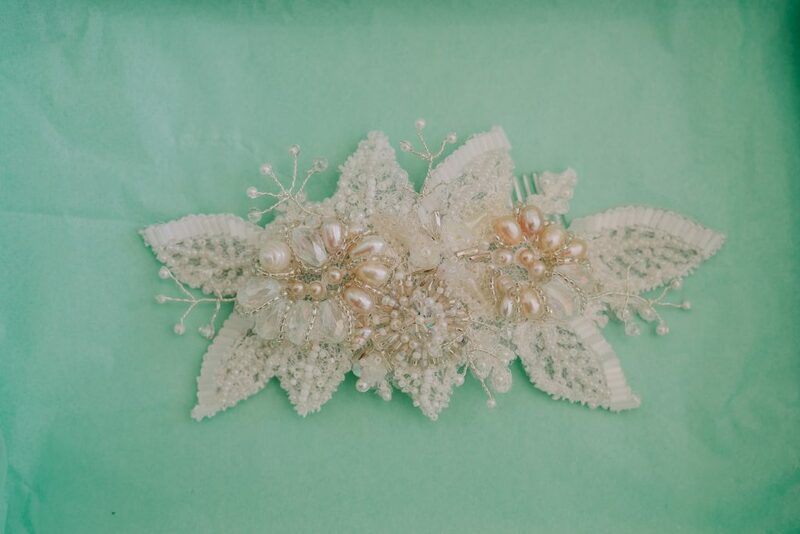 She also made me the most beautiful hair piece to wear on the day and that I will treasure forever. 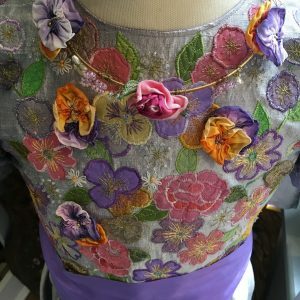 It use of my mother’s wedding veil and vintage beads. It is stunning. 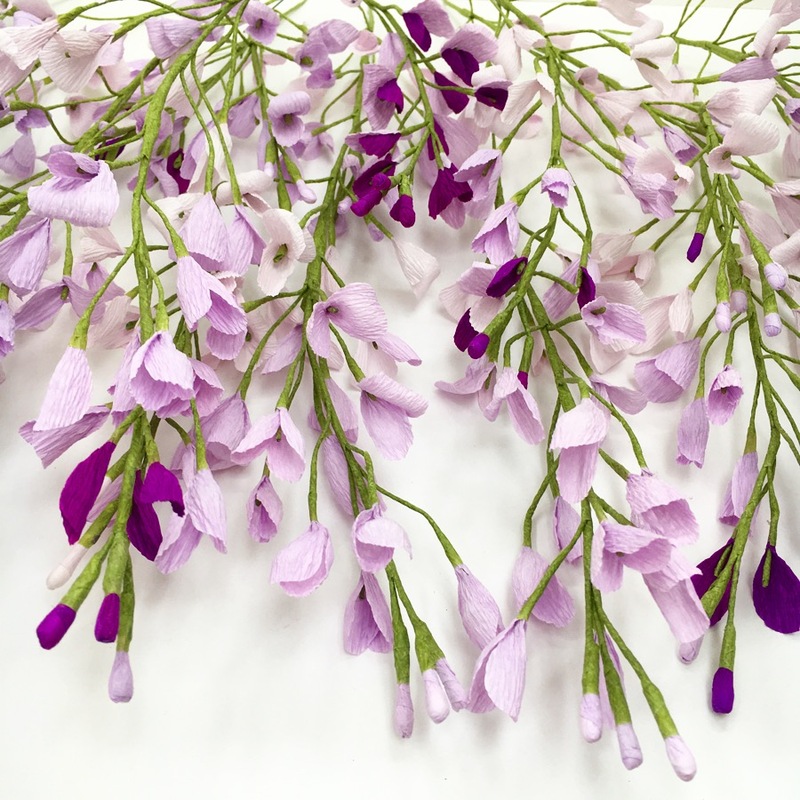 The wisteria this year has been amazing, whether I was more aware of it as I was creating it at the same time it was blossoming, but it seemed that every house I passed had an array of lilac covering it, and the scent was divine! 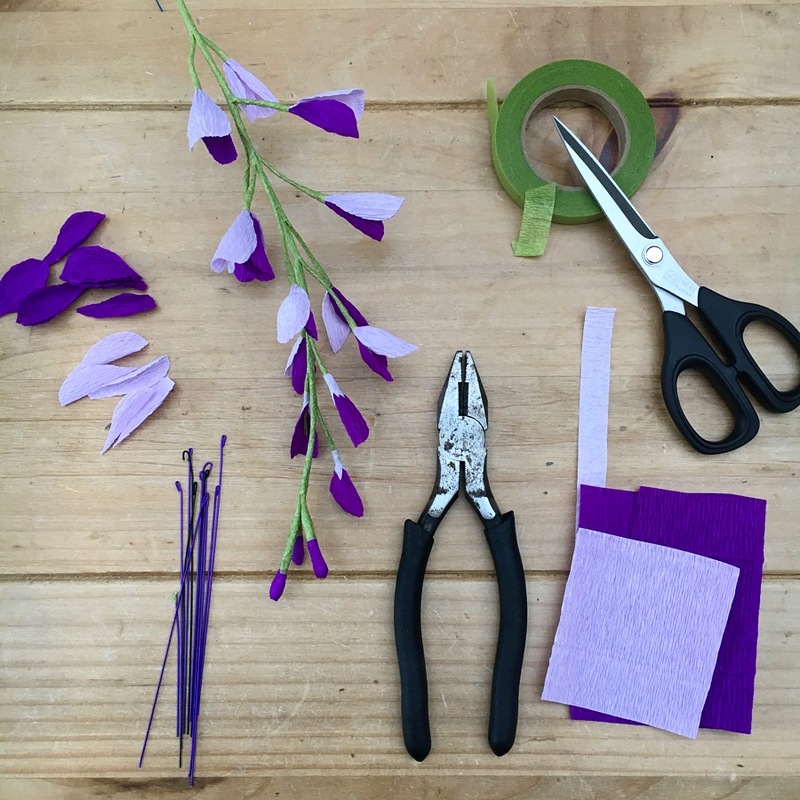 I began to create individual petals for the wisteria from a range of lilac and purple crepe papers and then join groupings of these stemmed flowers together. 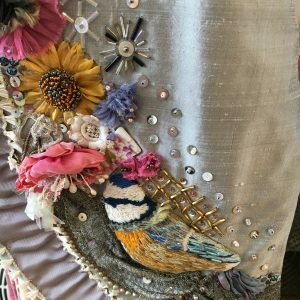 A Bank Holiday weekend visit to Jan’s shop to dress the window in the beautiful Cheltenham sunshine and in perfect timing for the street party in the Suffolk’s on the Bank holiday Monday saw an array of customers enter the shop to admire Jan’s collections. 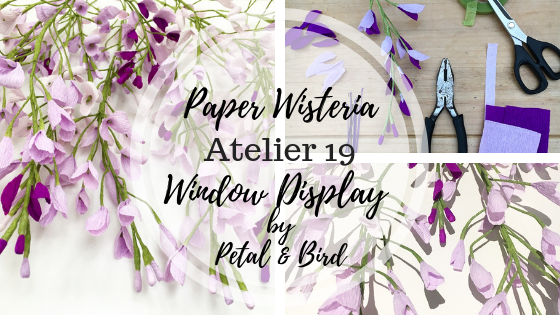 It was a great experience to create paper flowers for Atelier 19 and I have plans to continue to make more paper wisteria and keep adding to the display throughout the Summer. 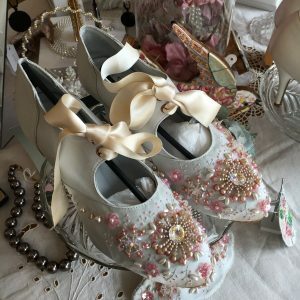 So do head to 19 Suffolk Road in Cheltenham to see it for yourself and step inside to look at the amazing boutique that is Atelier 19. Please get in touch if you would like paper flowers to feature in your life, to give as a gift or to decorate a special place. 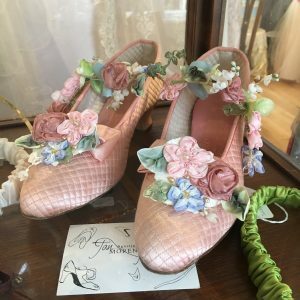 Contact me today or find me on my social media platforms to follow my journey in paper flowers. 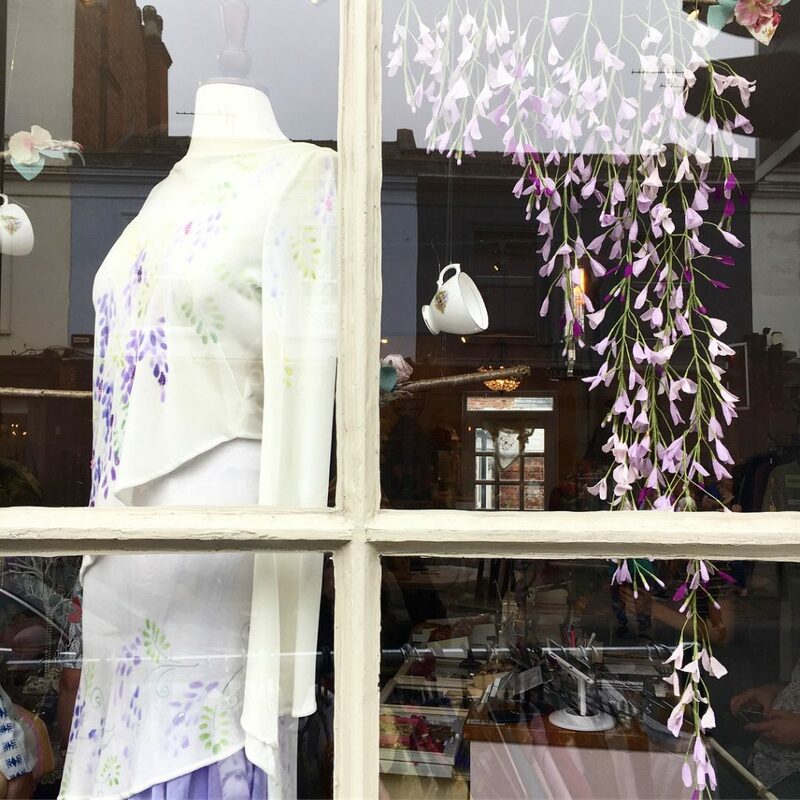 Lovely blog post, thank you Clare for writing it and making the amazing wisteria for my shop window which will bloom all through the Summer.